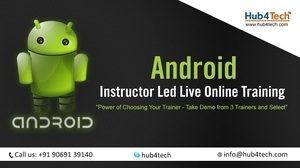 Hub4Tech offers Android App Developer certification training which is designed to boost your career as a professional Android app developer. This course takes you through the basics and moves on to advanced concepts in Android app development. Become proficient in Android app development and pass the Android Developer certification Exam.